Representing valor, wisdom, and benevolence, the Hidari Gomon remains a noteworthy symbol of Okinawa. The Okinawa Tsuba Katana uses the Japanese symbol in its gun metal guard, showing off the distinctive three tomoe teardrops. This functional katana makes an excellent addition to any oriental sword collection, boasting a thick, folded carbon steel blade with a fuller and a real ray skin handle wrapped with black cotton. 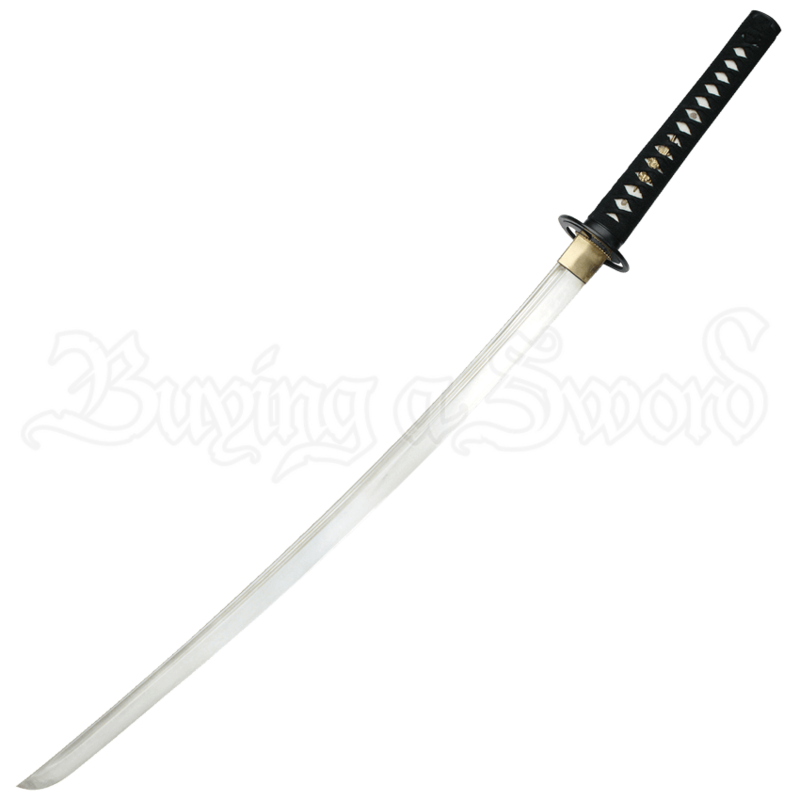 This hand-forged katana comes with a matching scabbard, a certificate, a sword bag, and a cleaning kit, making this a fantastic option for collectors and swordsmen.